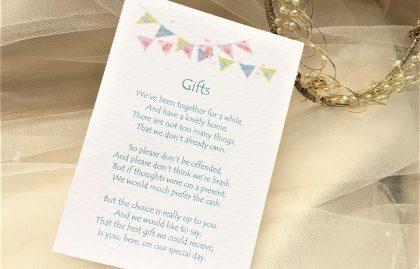 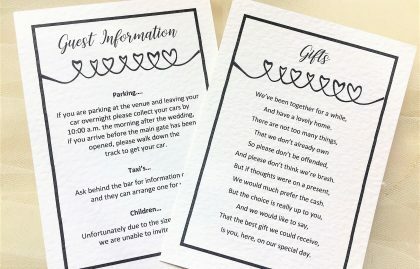 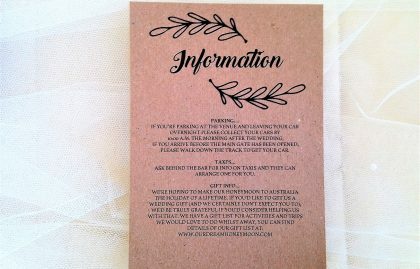 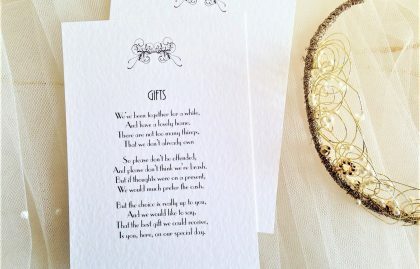 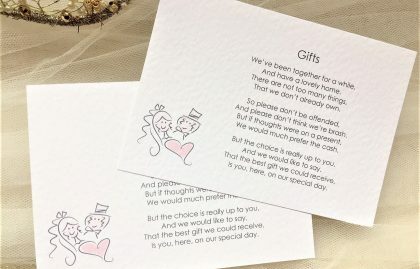 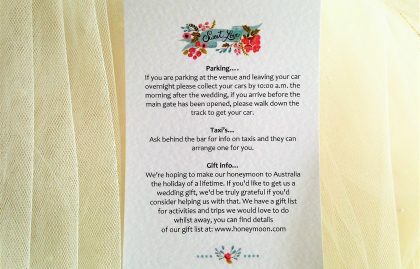 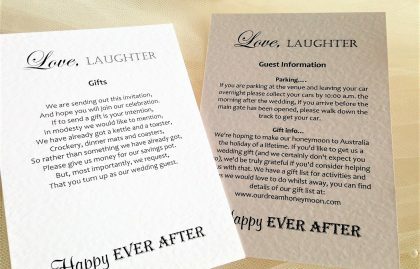 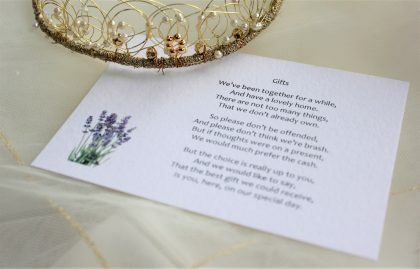 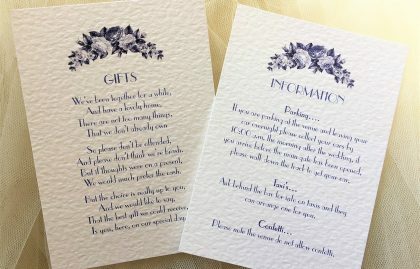 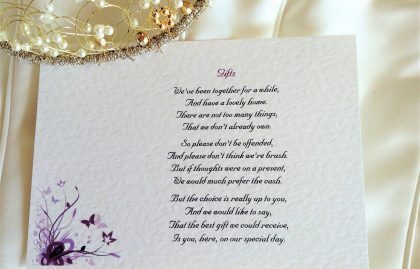 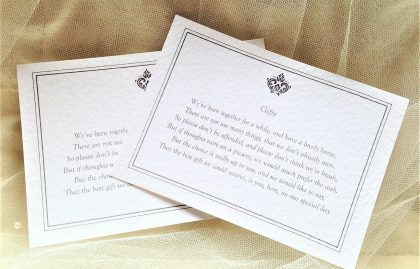 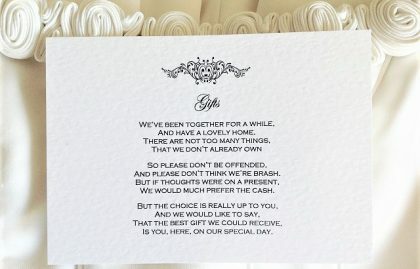 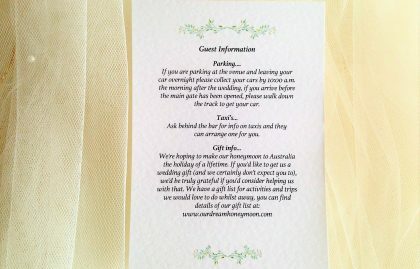 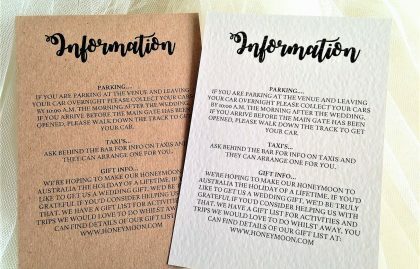 Guest information cards are used for all the additional information you need to tell your guests about your wedding day. 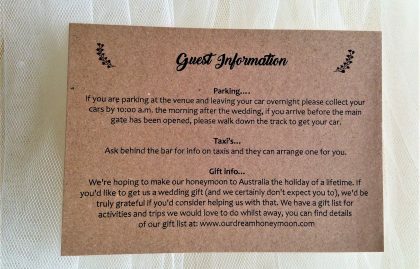 All of our guest information cards are designed to fit inside the same envelope as your wedding or evening invitation making them quick and easy to send out. 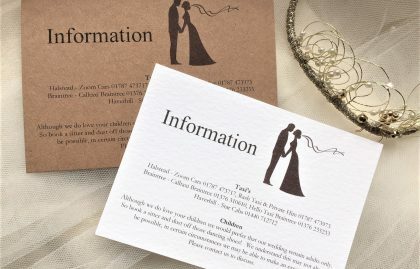 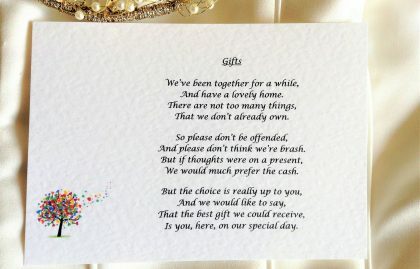 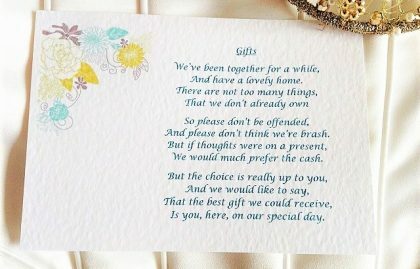 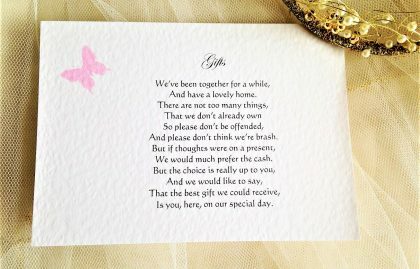 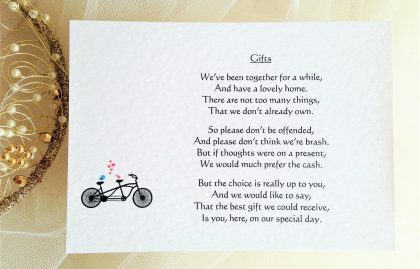 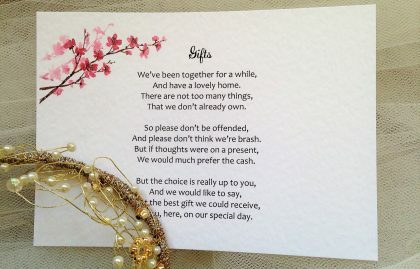 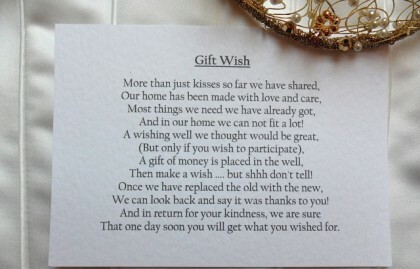 They can also be printed in the same design and colour as your invitation, giving it a professional look.